During the entire month of May, New York City is the global stage for international design on view in a multitude of shows and events collectively known as NYCxDesign. 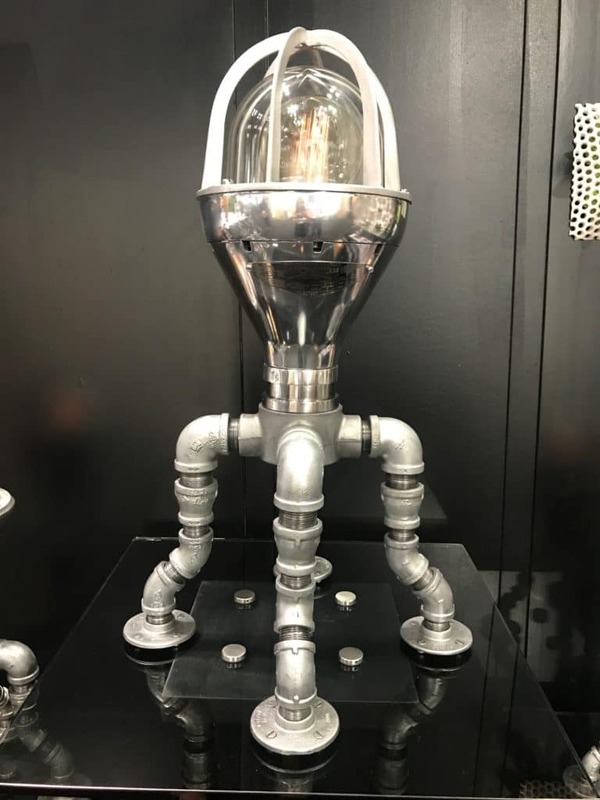 The marquee event is ICFF, The International Contemporary Furniture Fair, a compilation of what’s best and next in contemporary design and luxury interiors. Every year, I scout the show for the emerging talents rethinking the way we design and adorn our living spaces. From more than 800 exhibitors, I bring you inside the design minds of several standouts starting with David Rozek, founder of Pandemic Design Studio. In this blog post, we delve inside the imagination of architect turned designer David Rozek, founder of Pandemic Design Studio, LLC. What is the muse that drives your creativity? I like to design my work with action verbs incorporated in their appearance which reflect natural forces and phenomenon or regulatory patterns found in nature. As a whole, I am drawn to concept of pieces being assembled to create something much larger while still visually maintaining the individuality of each piece. Recently, the projects that I have been working on the most, The Node Collection and the Industrial Evolution Collection, have taken on action verbs that are more associated with organisms or plants and my vision of each collection only gets stronger better with more quantity. 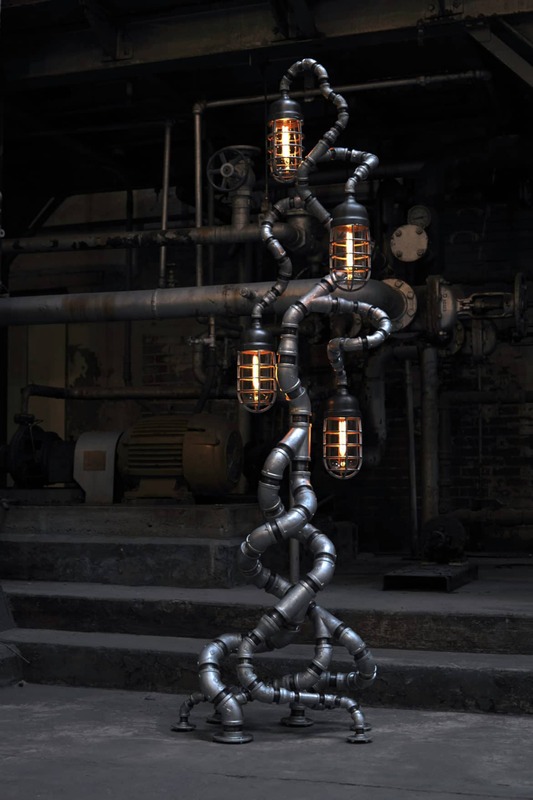 The Industrial Evolution Collection is an invasive species, The Node Collection is a colony. I envision my work as the focal point of a space. It is the “wow” factor that one would notice first and arguably would dictate the aesthetic of the rest of the space. I see my lighting (The Tree of Souls) waiting near the door in the entryway to greet the guests of a hip, industrial bar, coffee shop, restaurant, or hotel. 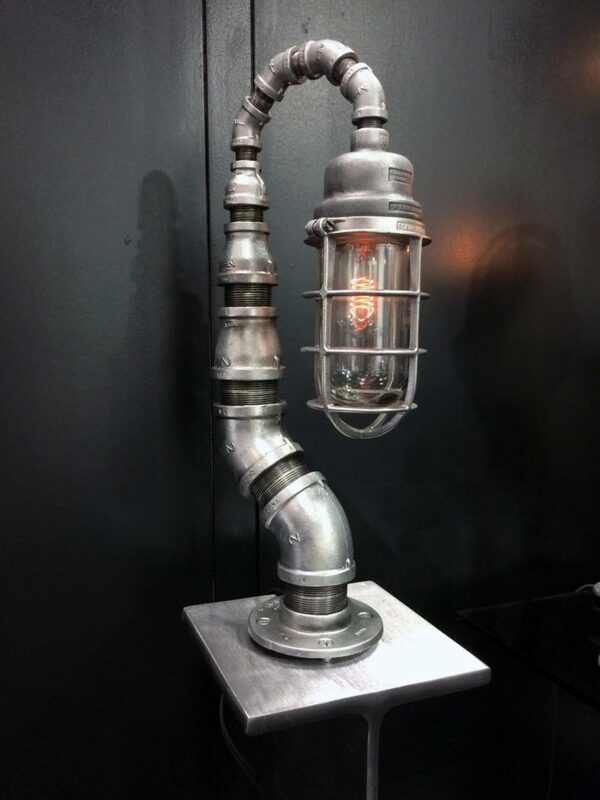 Tree of Souls light fixture by Pandemic Design Studio from the Industrial Evolution Collection on exhibit at ICFF. 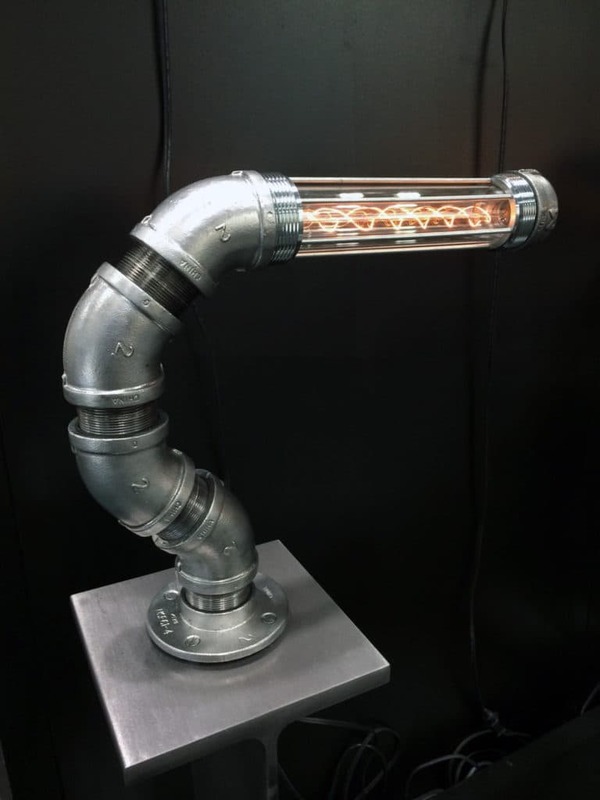 Fire Fly Desk Lamp by Pandemic Design Studios on exhibit at ICFF. I see the desk lamps at the table where the guests eat or at the bar to keep the lonely guests company. I imagine a dining and drinking establishment flickering with all of my creatures when the guests are encouraged to touch them and they cycle through low, medium, and high settings. There is something to be said for interaction with the decor. I wouldn’t mind seeing The Mantis on top of a piano that a famous pianist is playing. 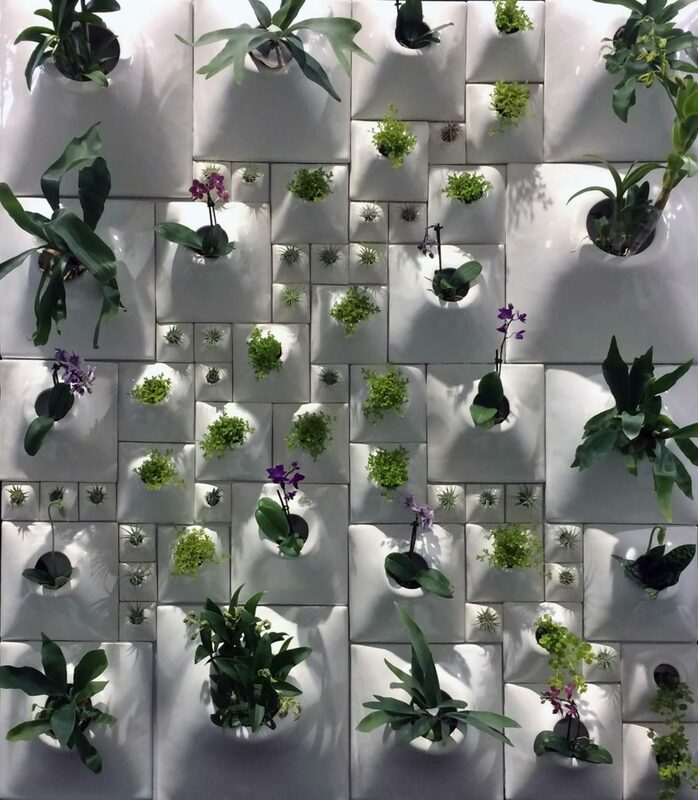 I imagine The Node Wall behind the reception desk in a corporate headquarters or in the dining area of a swanky restaurant or hotel. 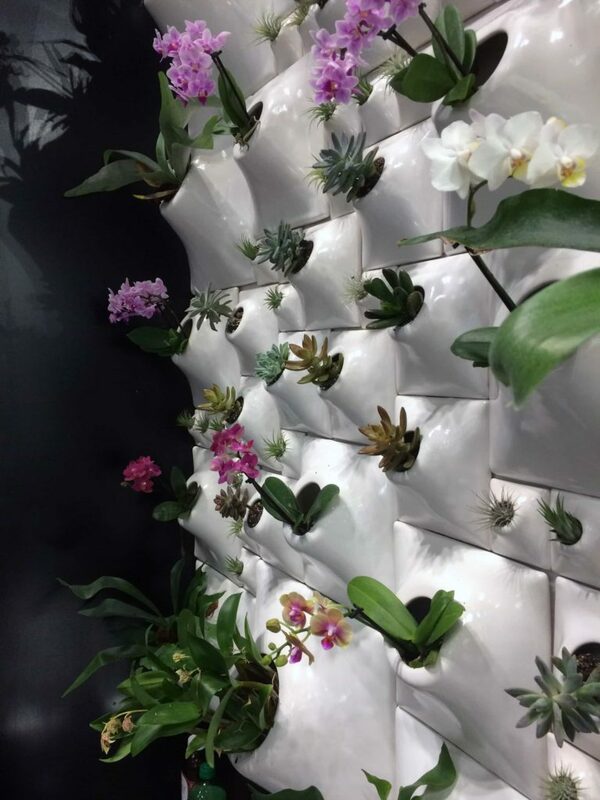 I see an outdoor wall at private residences or just a few Nodes on the wall in a well lit bathroom or kitchen. I see an indoor herb garden in the kitchen. With either of these products, there is a strength in numbers but they can all stand alone. That is really the beauty of the design of each collection. 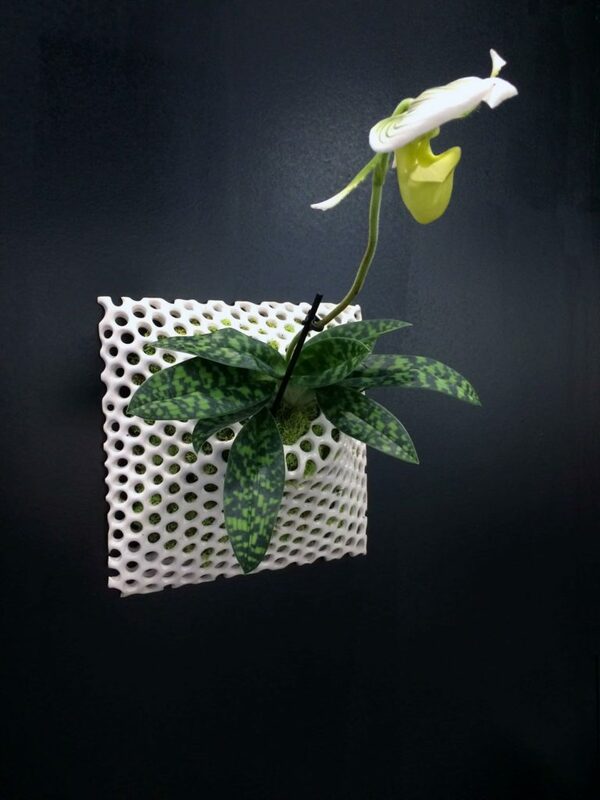 Individual ceramic node from The Node Collection by Pandemic Design Studio on exhibit at ICFF. You can have a few or a lot and you can be happy anywhere in between. It is all so versatile that it is hard to find a situation where it would not add aesthetic value to the space. Share the brief back story of Pandemic Design Studio and how it came to be? I conceived the name of my studio about a decade ago when I was in my last year of college finishing up my architecture degree. I don’t really remember how or why it came to me but I wanted something edgy and a little dark. If you replace disease with design in the definition of pandemic, we aim to spread our design worldwide in a way that it unavoidable. Many years later, I was in a place to start this company, I relocated to the Philadelphia area from Raleigh, NC three years ago and its been non stop ever since. The last two years have brought two new categories into our arsenal and those are lighting and ceramics. Whats next? If I’m going to be true to our name, produce, produce, produce and get it into people’s hands. We have done a lot of shows this year so far with a few more coming up, notably The PMA Show in Philly in November and there is some chatter about doing Index Dubai. This is our year to get out there and so far we have had all of our ideas and products validated. I plan to see The Node Collection start to make its way to retail locations nationwide this summer and there are a number of products in all of our collections that have yet to be built.